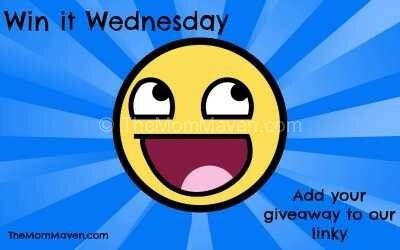 Happy Halloween and Happy Win it Wednesday Giveaway Linky Day! Assuming that all has gone as planned, I am spending my day in Freeport Bahamas with my husband on the last day of our 4 night cruise on the Carnival Liberty. Tonight we will be putting on our pirate costumes and enjoying the Halloween party on board the ship. This is my first time cruising over Halloween so I’m sure I’ll have lots to share when I get back. I’ll also be updating my Instagram regularly so make sure you are following me over there. We love cruising and because of Jordan’s wedding, we didn’t think we’d be able to cruise at all this year. Thanks to some generous friends, we were blessed with gift cards to cover almost half the cost of this 4 night cruise. We are so thankful to be able to enjoy this getaway in between my busy fall Sharathon schedule and the November/December holidays. Of course, since we are cruising out of Port Canaveral, we will be making a stop at the Magic Kingdom tomorrow before we drive the rest of the way home. It’s just not right to drive past Walt Disney World on the interstate and not stop in and say “Hi!” to Mickey.